Daniel is the newest addition to our team of exceptional tax attorneys. Originally from Louisville, Kentucky, Daniel spent his undergraduate years at the University of Kentucky where he earned a Bachelor's Degree with honors in Classics. He attended law school at the Northern Kentucky University Salmon P. Chase College of Law where he graduated with honors and a concentration in tax law. During his time in law school, Daniel was very active in the Volunteer Income Tax Assistance (VITA) program, assisting low income and elderly individuals with their income tax filings. After law school, Daniel moved to Florida, where he earned an LL.M. in taxation from the University of Florida Levin College of Law. 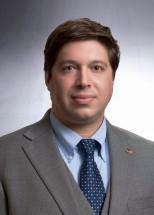 Having earned his LL.M., Daniel moved to Cincinnati, Ohio, where he began his tax practice. Now in South Florida, Daniel focuses his practice on tax and estate matters. He is adept at assisting individuals and business entities with planning and defending tax strategies. Daniel also has extensive experience assisting clients with non-recognition transactions, such as 1031 exchanges. Furthermore, Daniel is passionate about assisting individuals and families to protect and pass on their wealth. Daniel understands that proper planning today is the key to a successful succession tomorrow. Through listening, communicating, and a painstaking attention to detail, Daniel ensures that every client's matter is addressed comprehensively and completely.